​ACME School of Business Seller's Academy! Join the MVD popcorn chair for tips on making your 2018 popcorn sales out of this world! 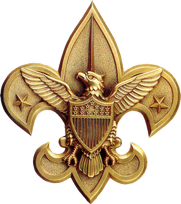 Attendees will learn tips to give them the edge on selling more popcorn to fund their scouting adventures. Attendees will receive resources, a cool patch and even a little treat to get you through the day. Sessions are on-going. Come anytime! #1) Goal setting—See the prizes and make a goal! #2) Best Practices- Hear tips from top sellers and their parents. You can go further with best practices. #3) Planning Your Strategy- Plot your route and plan your sell times using calendars and neighborhood maps. #4) Practice Your Pitch : There happens to be a door right there-- knock on the door and practice your sales pitch. #5) Online accounts- Activate your on-line account using ACME’s computers. Parents can see how this works with the Trails End online accounts. #6) Get Organized: Fill our your door handers and very own business cards. #7) Prepare: Decorate your very own clip board so it makes it easy to take those orders. #8) Graduation: Smile in a cap and gown as you get your graduation picture taken to show your official completion of the ACME School of Business Sellers Academy!